There are plenty of problems that can befall a car as we drive them and use them for our everyday activities. Driving on the expressways can lead to the front end being riddled with rock chips which is the fastest way to make a new car look not quite so new anymore. Other normal conditions such as bird droppings, bug guts, tar, fallout and even mineral rich water can leave residue on paint that will etch into the clear coat causing damage that can require some level of restoration to fix. The most common culprit to a damaged clear coat actually comes from improper washing. Improper washing can lead to micro marring (aka: swirl marks) all over the paint of the vehicle which causes a dull finish. Typically after a few years, we just accept that our cars look old and its time to replace them. We are happy to report that due to the advancements in technology of Ceramic Glass Coatings and Paint Protection Film, you can beautify and protect your new vehicle for years to come and avoid the typical cycle of becoming disappointed with the way your vehicle looks. 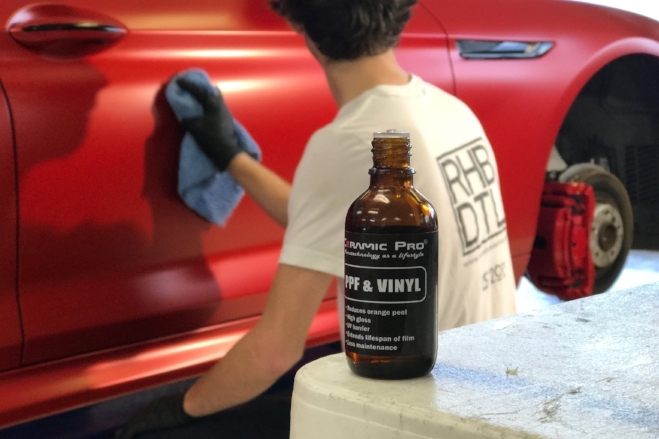 Typically our process will make your car look even better then the day you picked it up, make it significantly easier to maintain and continue to look stunning for years to come. Please look through the various options below or schedule a consultation so we can help you pick the options that will provide the perfect amount of protection and beautification that you will need to compliment your driving styles and goals for your vehicle. Ceramic Pro is a Nano-Ceramic Glass coating that offers permanent protection and is several times harder then typical clear coat. There are nearly a dozen products that are used to protect everything from the interior to the paint to the wheels. Paint Protection Film (PPF) is used to offer a clear resilient barrier from rock chip damage in the high impact areas of your vehicle. We have options from covering the front bumper to covering the entire vehicle. 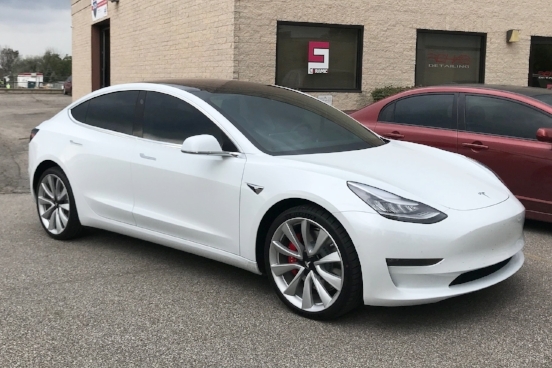 Of course window tint looks cool, but with the Ceramic Film that we offer, your vehicle’s interior will stay cool and be protected from harmful UV damage.